Dawn has been involved in the world of camping for 20 years. Dawn was not new to Pine Tree Camp, serving as a counselor in the 1980s. 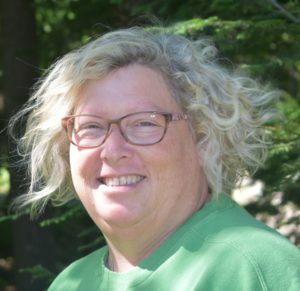 Dawn is an active member of the Maine Youth Camp Foundation, American Camp Association New England and the national American Camp Association. She regularly attends training opportunities at the state, regional and national levels including a certification through the Basic Camp Director Course. Dawn has successfully expanded the Pine Tree Camp residential programming to include Camp Pine Cone, a day camp for children with disabilities. Dawn holds a degree in Early Childhood Special Education as well as in Therapeutic Recreation. Dawn has a wide range of experience working with children with special needs. Her experience includes eight years working in the Lewiston school systems' special education department and 10 years as a service coordinator and team leader for Child Development Services in Androscoggin County. She has participated in boards that developed the Healthy Families program and preschool programs in the public schools within Androscoggin County. In addition, she successfully directed the collaboration of the Lewiston, Auburn and Sabattus school systems and the Girl Scouts to provide a residential camping experience for at risk girls. Through her work experiences, Dawn has developed relationships with special education directors within the public school systems and a greater understanding of the needs of children and their families in this area of Maine. Dawn grew up in the community of Lewiston, Maine and currently resides in Auburn, Maine with her family.